This incredible installation is the focal point of the large glass public atrium – the newly added grand entranceway into the rejuvenated, historic building. This multi-level, multi-sided living wall biofilter is the largest known indoor biofilter, covering 2,400 square feet. 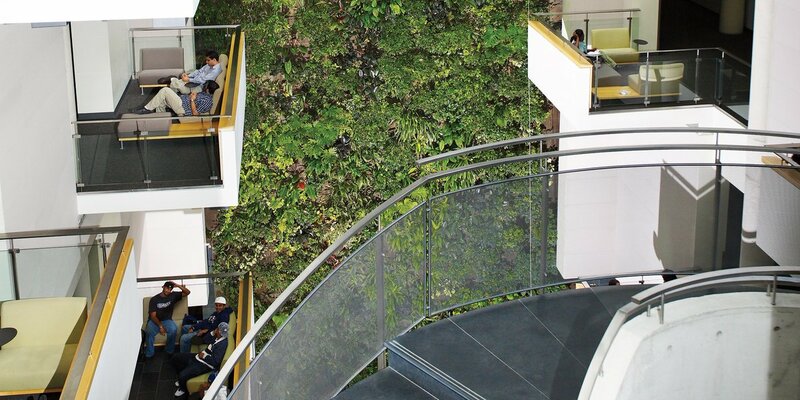 The living wall and combined water feature provide a calm and serene moment in the busy public space.